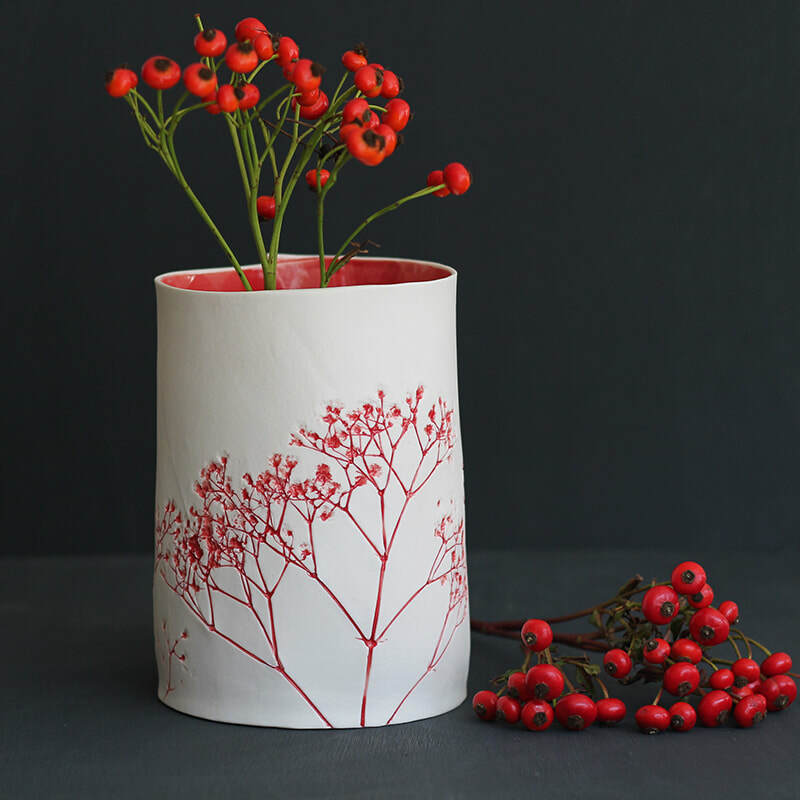 Leonora Richardson is an independent designer-maker based in Muswell Hill. 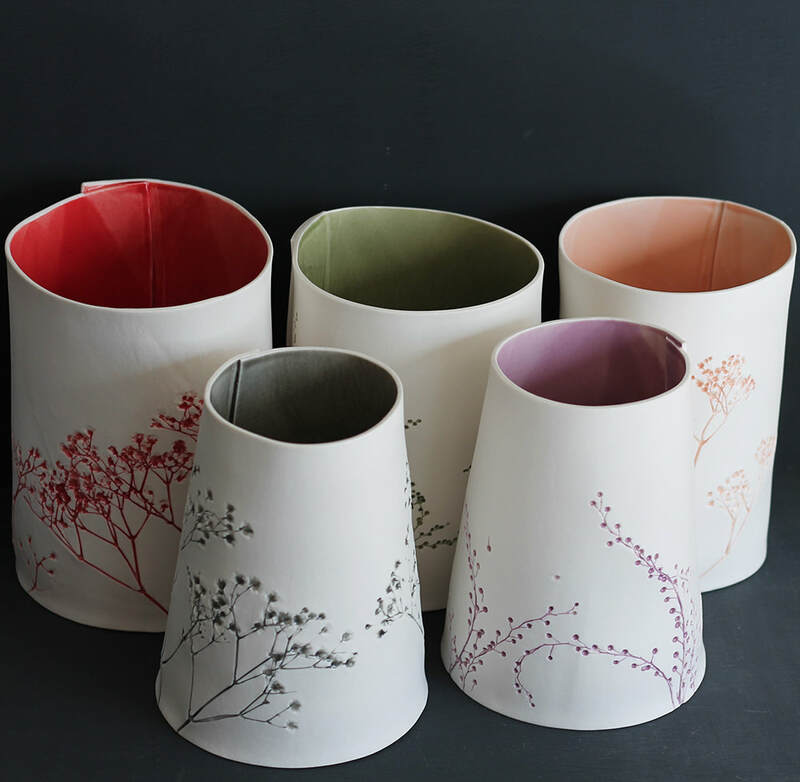 She graduated from Central Saint Martins College of Art and Design with a First Class Honours Degree in Ceramic Design. 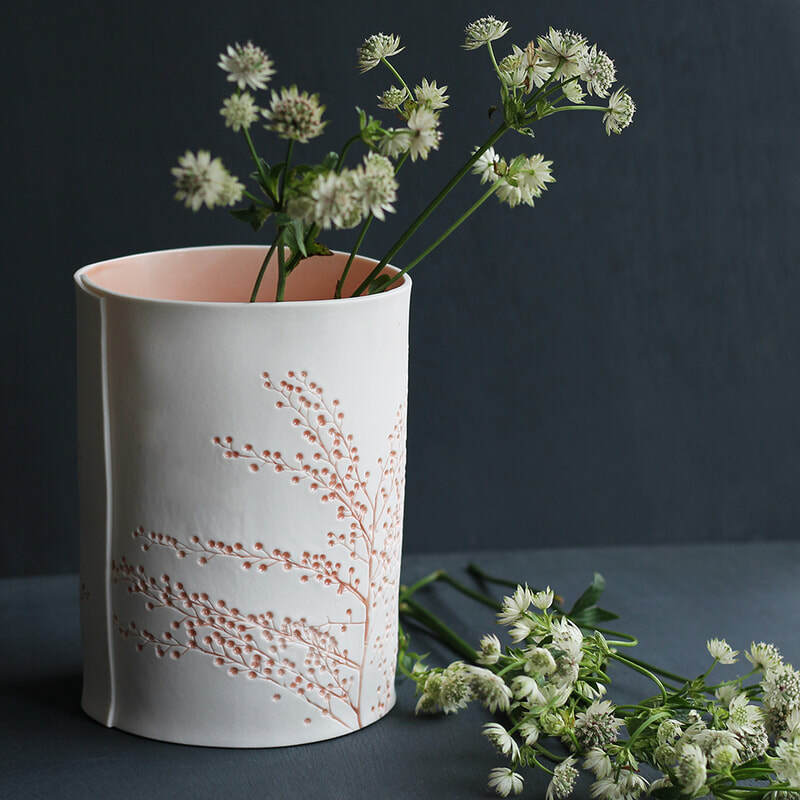 The medium of ceramic clay allows her to create, express and explore the organic hand-built forms, emphasising the repetition yet innate individuality which comes with each piece. Unique and intricate details arrive with the finishing product, creating beautiful and delicate ceramic pieces for the home. The making process has evolved through a personal exploration and search for creating a clean and soft ceramic design. 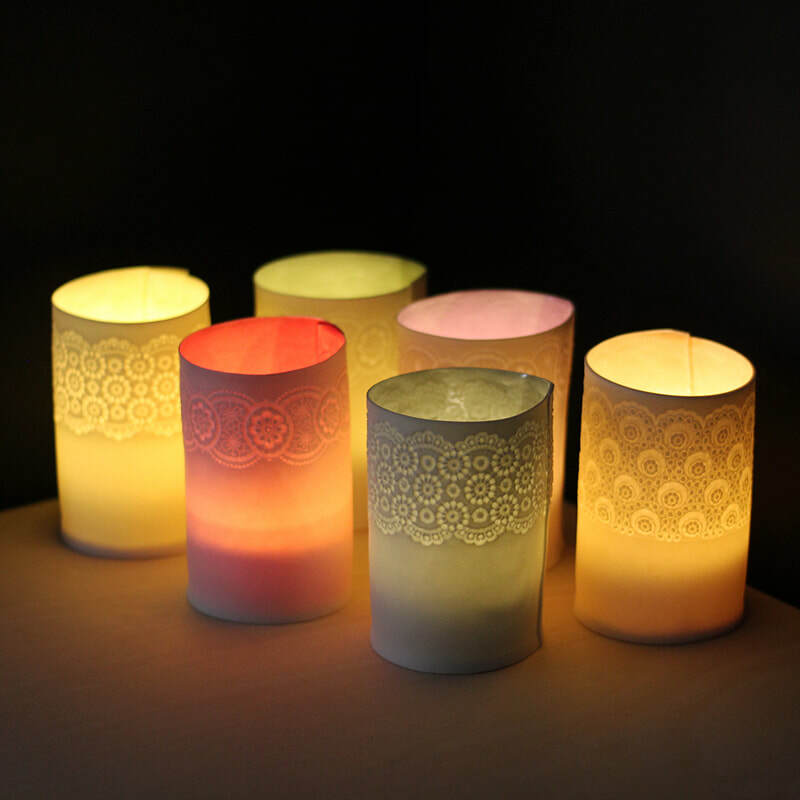 They are made for people to enjoy in their homes, work places or in a public area creating quiet and peaceful mind space, bringing a sense of warmth. The pieces are made by first rolling slabs of porcelain clay which are then assembled in to the shapes. They are then fired at 1270 degrees, becoming highly translucent and tactile. 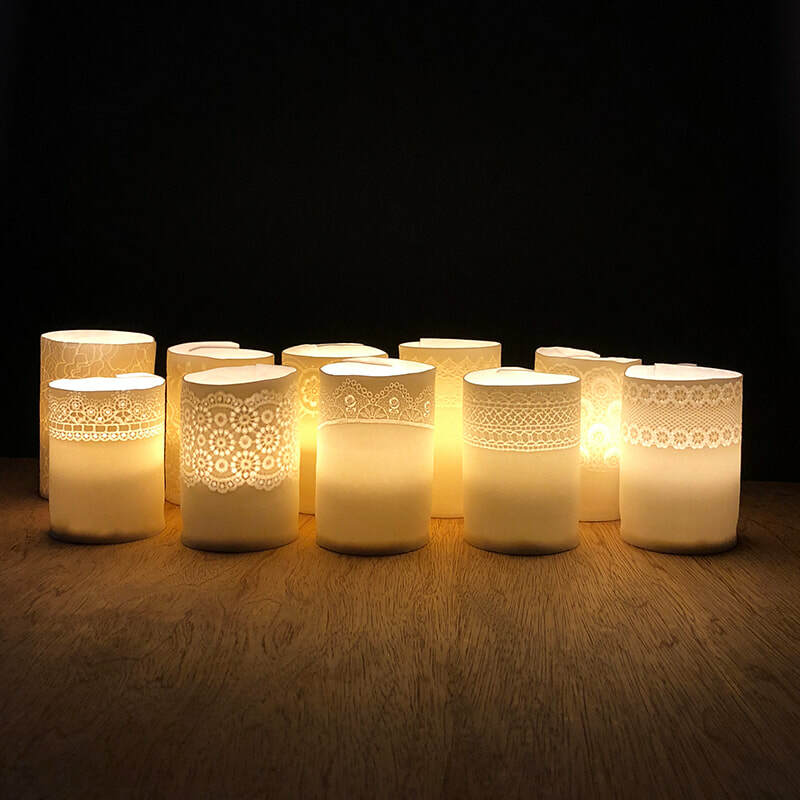 When lit the porcelain creates a magical and intimate atmosphere.